The shareholders of Johnston Press have voted in favour of the company’s proposed £360m refinancing package. The plan, unveiled earlier this month, will see the regional publisher slash its £300m debt by a third to less than £200m. JP has estimated the refinancing package, approved at the publisher’s general meeting in London yesterday, will raise £220m through issuing bonds and a further £140m by issuing and placing shares. It is a move which could signal an easing of pressure on the group which has slashed costs in recent years in order to service its heavy debt burden. In 2013 JP delivered operating profit of £54.2m, just under a sixth of the £302m debt total. Over the last two years it has cut 1,600 staff, to the current total of around 4,200, and closed a number of newspaper offices whilst raising print cover prices. The Johnston Press share price has reflected its debt level, declining from a pre-recession high of around £6 a share to below 10p a share in 2011 and 2012. Today it was trading at 16.5p. 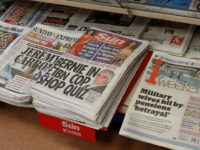 Johnston Press is the UK's fourth biggest regional newspaper publisher in terms of total weekly print circulation with some 213 titles. Chief executive Ashley Highfield told staff in an email that the deal makes JP a “much more viable business with potential for growth”. “This puts the company on a much more stable footing and allows us to be able to look towards returning to growth and a prosperous future,” he said. “Our new arrangements represent a considerable achievement and the process has revealed a significant and encouraging level of external confidence in our business and our ability to grow. “But, we still have challenging times ahead. Our strategy is to transform our company by transitioning to digital faster than our competitors. In doing so we will remain the number one provider of local news and information services and become the number one provider of marketing solutions for small businesses. Of the 690,294,608 ordinary shares in issue as of yesterday, 67.13 per cent were used to vote. And 99.65 per cent of the votes cast on the refinancing package approved of the deal. 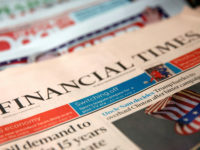 On the refinancing package, JP chief executive Ashley Highfield said earlier this month: “Johnston Press has already achieved much in turning around our business performance, with 2013 marking a return to underlying operating profit growth for the first time in seven years. The deal comes after JP announced in December that a deal had been struck with lenders to defer paying its debts of £300m until autumn 2015 in order for a refinancing package to be developed. JP also unveiled this month an agreement with Sky, which will see the broadcaster pay £5m for a 2 per cent stake in the publisher. Meanwhile, JP's advertisers will have access to the broadcaster’s AdSmart technology, which will enable it to sell Sky TV advertising in specific local markets. It will initially be rolled out in Nottingham, Derby and Sheffield, and Milton Keynes, Northampton and Peterborough. Highfield said when the deal with Sky, which was unveiled earlier this month, was made it was a “testament” to the publisher’s focus on becoming a “truly multimedia business”. “That Sky has further demonstrated its conviction in our strategy by investing in our business is particularly encouraging,” he said. “The strength of our sales team network and our relationships with small and medium-sized enterprises across the UK position us well to deliver a comprehensive portfolio of advertising and marketing solutions. Andrew Griffith, Sky managing director of commercial business, said: “Sky AdSmart helps level the playing field for local businesses. They can now compete effectively with national brands, using the unique brand-building power of TV. “Local companies can promote their products or service on any of Sky’s quality channels and be confident they are reaching their target audiences. The shareholders of Johnston Press have today voted to proceed with the rights issue through which we will raise £140m of new equity capital (shares) as part of our capital refinancing plan. It’s great news and, combined with the raising of £225m through a new bond, allows us to pay off our existing debt. This puts the company on a much more stable footing and allows us to be able to look towards returning to growth and a prosperous future. I know many of you have questions about the refinancing – and the rights issue, in particular – so I’d like to explain one or two things. We wanted to raise £225 million through a new fixed rate bond and we have attracted sufficient investor support to agree a five-year bond to that value. As you know from earlier communications, we also wanted to raise a further £140m from the issue of shares. Following today’s shareholder approval of a rights issue, existing shareholders can purchase 6.52 new shares for each share currently held at a price of 3p per share. Included in the £140m share issue we raised £2.3m of equity capital from Sky and they have also agreed to participate in the rights issue, bringing their total investment up to £5m. It’s important to note that this exercise will increase the share capital by some 4.5 billion shares and that will cause a drop in the share price of the existing shares but at the same time a shareholder will receive 6.52 new rights shares for every share currently held. These rights have a value (dependent on the share price) and can also be bought and sold like the existing shares. The new price will reflect the existing shares at around 17p (illustrative price before the rights issue commences) and the rights issue shares at 3p, which results in a blended average price of around 4.8p. A simple example is that a shareholder who owns 5000 shares who takes up their rights shares would have 5000 shares @17p (illustrative), plus 32,600 shares @3p – a blended price of 37,600 shares at around 4.8p per share. While the rights issue will result in a reduction in the company’s share price, this does not imply the company is worth less. A share price around 4.8p would represent more than a quarter of the current share price but there will be six-and-a-half times more shares in the market. So that’s a pretty fair outcome. Our market capitalisation – the market value of all our shares in issue – could be around £265m, which now includes the £140m of new equity whereas two-and-a-half years ago it was £29m. That means we should be viewed as a much more viable business with potential for growth. Further information is in the prospectus which is on the corporate website, www.johnstonpress.co.uk You’ll find a shareholder-friendly FAQ on the rights issue in Part III. The refinancing means we are no longer subject to quarterly tests by the banks. Our new arrangements represent a considerable achievement and the process has revealed a significant and encouraging level of external confidence in our business and our ability to grow. But, we still have challenging times ahead. Our strategy is to transform our company by transitioning to digital faster than our competitors. In doing so we will remain the number one provider of local news and information services and become the number one provider of marketing solutions for small businesses. We simply must start growing revenues while still making cost efficiencies in order to be able to invest in our future and continue to pay our debt down. The successful refinancing puts us in a great position to move forward and I’d like to thank the finance team in particular for the hard work and commitment they have put into getting us to this position. This is the time to really grow our company."